The link James shared there is a MacRumors post about the laptop-like Clamcase for iPad. If the iPad represents a radical paradigm shift in personal computing, this case certainly offers a warm, fuzzy connection to the past. Honestly though, when I saw this product, the first use that came to mind was disguise. When my brother and I were kids, we both wanted to be spies. 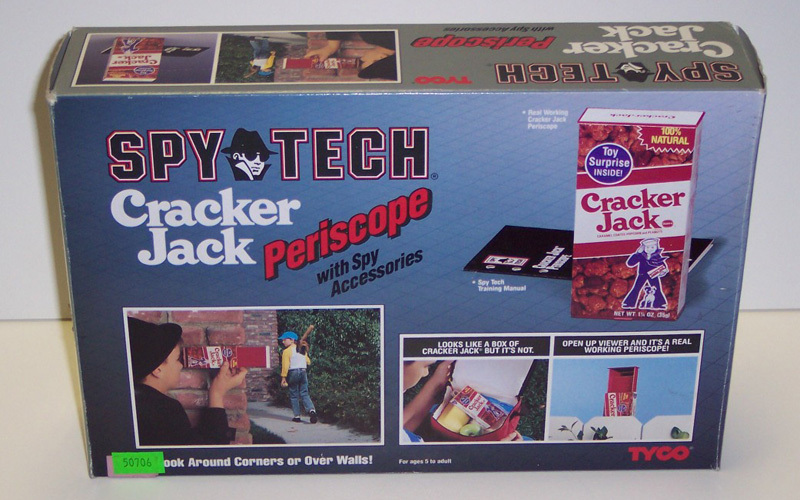 We had all the SpyTech™ toys from the early nineties; one of my favorites was the Cracker Jack Periscope. Creepy? Perhaps, but the most critical part of being a spy is not blowing your cover. The same goes for protecting gadgets from the future. OK, well most of us only have gadgets from the present, but that doesn’t mean you can’t pretend they’re top-secret prototypes that have to be protected from undercover Gizmodo operatives next time you’re out at the bar.